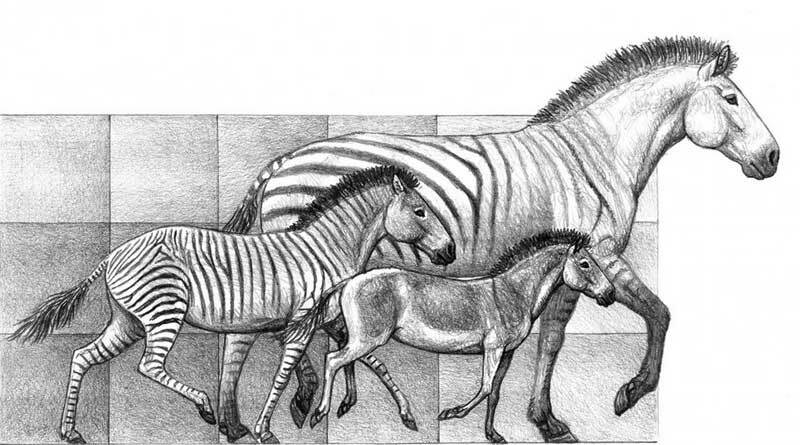 Changing environments and ecosystems drove the evolution of horses over the past 20 million years, fresh research suggests. Palaeontologists from Spain and Argentina based their findings on their analysis of 140 species of horses, most of them extinct. They processed decades of research on the fossil history of this popular group of mammals in reaching their findings. Their conclusions, reported in the journal Science, challenge a classic theory which links the evolutionary success of horses to several novel adaptations in response to the spread of grasslands around 18 million years ago. “According to the classic view, horses would have evolved faster when grasslands appeared, developing teeth that were more resistant to the stronger wear that comes with a grass-dominated diet,” explained Juan Cantalapiedra, a researcher at the Museum für Naturkunde in Berlin, Germany. But did teeth and body size indeed evolve that fast? It seems they didn’t. According to the new results, these evolutionary changes could have been much slower than previously assumed. In fact, Cantalapiedra and his colleagues were able to show that all these newly evolved species of horses were ecologically very similar. Thus, rather than a multiplication of ecological roles, the new results point to external factors, such as increasing environmental diversity, as the main evolutionary force. Jose Luis Prado, from the National University of the Center of Buenos Aires Province, who also took part in the research, said this was probably only possible in ecosystems with a lot of energy and biomass, so that very similar species, which otherwise would have been in strong competition, were all able to survive. Diversification accelerated again two more times, when changes in sea level allowed their migration from North America into Eurasia and Africa 11 and 4 million years ago, explained María Teresa Alberdi, at the National Museum of Natural Sciences in Madrid.